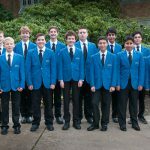 Portland Boychoir seeks a detail-oriented Operations Manager with excellent computer skills and an independent work ethic to begin work in May, 2019. 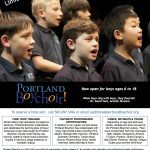 Portland Boychoir Mission: to provide music education and professional-quality performance opportunities that develop self-esteem, depth of character, and advanced music skills in boys ages 6 to 18. To manage the financial resources of Portland Boychoir. To maintain accurate financial records by reconciling the bank accounts, tracking donations, and sending contribution acknowledgements. To prepare payments to be made (and have checks signed by designated board members). To field incoming communications – email and telephone – and follow up as needed. To maintain the data bases of prospective singers, member families, donors, and professional affiliates. Preparing and reproducing concert programs. To implement the policies set by the Board of Directors. A self-motivator with excellent communication skills and a keen attention to detail. Capacity to prioritize tasks and to plan in advance in order to accomplish projects in a timely fashion. Capacity to delegate and to call on the support of volunteers as needed. The Operations Manager for Portland Boychoir is a contracted part-time position. The anticipated compensation is $9K to $12K annually, commensurate with experience for approximately ten hours per week. All applications will be acknowledged by email. References will be contacted after a preliminary applicant screening and only with the permission of the prospective candidate for which their endorsement is sought. Any contract offered to prospective staff is contingent upon completion of a satisfactory background check in compliance with Portland Boychoir policies. Portland Boychoir seeks a jovial, kind, inspirational, and experienced teacher for the position of Associate Director beginning in September, 2019. To direct the preparatory program for Portland Boychoir. To lead rehearsals and to teach the Primary Boys (ages 6 to 8) and the Intermediate Boys (ages 8 to 11). To provide vocal training that develops healthy, robust, bel canto singing throughout the boys’ ranges. To provide training in music literacy and to introduce the fundamentals of handbell ringing. In consultation with the Artistic Director and the Board, to schedule and produce at least two performance opportunities per season for the preparatory program. To work with the Artistic Director to recruit prospective singers and to assist in the audition process. To coordinate with the Artistic Director the acquisition and preparation of educational and performance materials. An experienced music educator who can create and sustain a healthy balance of discipline, fun, mutual respect, and high standards of excellence. A joy for working with children. A Bachelor Degree in music education or similar qualifications/experience. 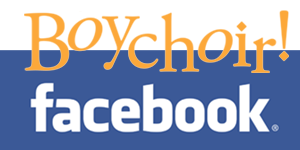 The Associate Director for Portland Boychoir is a contracted part-time position. The anticipated compensation is $600 to $1000 per month for nine months (September through May), commensurate with experience. Weekly contact hours = 2.5 hours of rehearsal time, one day a week. Directors with the desire, training, and skill also to work with Middle School and High School aged boys are encouraged to apply for both positions: Artistic Director and Associate Director. If contracted for both positions, the compensation would be increased accordingly. Portland Boychoir seeks a dynamic, inspirational, and experienced teacher and conductor for the position of Artistic Director beginning in August, 2019. Rehearsals begin in September. 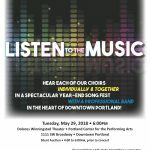 To create the artistic vision for Portland Boychoir and to articulate this vision for the Board, the singers, their families, and the community at large. 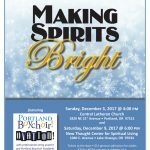 To conduct the organization’s flagship choir, Portland Boychoir consisting of Trebles (ages 10 to 13) and Gents (ages 13 to 18), in rehearsals and in performances. Both groups rehearse independently and together. To provide training in music literacy and handbell ringing. To develop a comprehensive performance season to meet the educational, artistic, and financial goals as established in collaboration with the Board of Directors and Portland Boychoir staff. To oversee the logistics associated with booking venues and coordinating with production staff and volunteers. To oversee the artistic design of the promotional materials associated with concerts and recruitment. To recruit singers through community networking, through outreach to music educators, parents, and community members, and through traditional and burgeoning communications methods. To schedule auditions throughout the season, to inspire prospective singers through an affirming audition process, and to communicate appropriately with auditionees and their parents. To present touring proposals in a timely fashion and to follow through with planning as approved by the Board of Directors. To speak on behalf of Portland Boychoir to the media, to audiences, and to the community at large. To assist in the fundraising efforts in collaboration with the the Board and staff. To coordinate with the Board and administrative staff for the timely payment of expenses associated with the Artistic Director’s areas of responsibility – including payment to auxiliary musicians, guest artists, and for sheet music purchases. A musician and music educator with demonstrated mastery of choral conducting. Experience working with children and youth. Experience working with boys’ changing voices. Experience ringing, teaching, and conducting handbells. Creative, with a desire to cultivate a collaborative vision for the organization. A Bachelor Degree in conducting, music education, or similar qualifications/experience. Competency with music notation software. The Artistic Director for Portland Boychoir is a contracted part-time position. The anticipated compensation is in the range of $20K to $30K annually, commensurate with experience. Weekly contact hours (September through May) = 6 hours of rehearsal time, plus prep time, plus monthly Board meetings. Directors with the desire, training, and skill also to work with young children (ages 6 to 9) are encouraged to apply for both positions: Artistic Director and Associate Director. If contracted for both positions, the compensation would be increased accordingly. Hear Ovation and Portland Boychoir in a grand year-end celebration together. 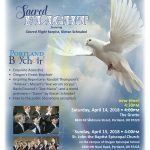 Two great opportunities to see Portland Boychoir for free. Join us: Saturday, April 14 at The Grotto and Sunday, April 15 at St John the Baptist. Note the new time for Saturday’s concert. Sunday 12.3.17 @ 4pm at Central Lutheran Church, 1820 NE 21st Avenue, Portland and Saturday 12.9.17 @ 6pm at New Thought Center for Spiritual Living, 1040 C Avenue, Lake Oswego. Tickets at the door: $15 general admission for one show and $20 for BOTH concerts. Children, 17 & younger, have free admission. 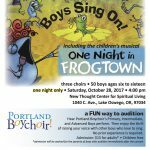 Boys Sing On, including the children’s musical One Night in Frogtown, features three choirs of 50 boys ages six to sixteen for this one special night, Saturday October, 28, 2017 at 4:00 pm, New Thought Center for Spiritual Living, 1040 C Avenue, Lake Oswego. Admission is adults $15, children 17 & younger free. Parking is free. Plus! 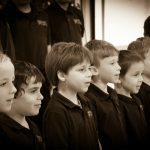 A FUN way to audition: for boys, ages 6 to 11 … hear Portland Boychoir’s Primary, Intermediate, and Advanced Boys perform, then enjoy the thrill of raising your voice with other boys who love to sing. No prior experience is required. Admission will be waived for parents of boys who audition immediately after the concert. 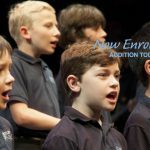 *Now through October 31, 2017, Portland Boychoir is offering 20% off tuition for new enrollees. Prospective singers must audition and be invited to join. To schedule an audition, email auditions@portlandboychoir.org. For boys who love to sing! 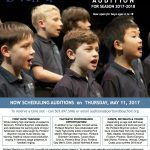 Audition for Portland Boychoir on Thursday, May 11 for 2017-2018 season enrollment. Seeking boys ages 6 to 10 (no prior experience required) and boys 11 to 18 (with music experience). E-mail auditions@portlandboychoir.org or call 503-697-SING (7464) to schedule an audition appointment. Rehearsals Sept 2017 to May 2018 in NW PDX. High-quality performances throughout the season. Summer 2018 tour planned for the middle & high school boys.